Last Friday afternoon, Mr. W. R. H. Winston opened an inquiry at the Ilkeston Hospital respecting the death of Joseph Jordan, aged 21 years, of 74, Awsworth Road, Ilkeston, the second of the men who had succumbed to injuries sustained in the recent explosion at the Manners Colliery, Ilkeston. The Coroner said he was sorry to have to call the jury together again under circumstances which they would all know. Joseph Jordan was another of the men who was injured in the recent explosion at the: Manners Colliery. As on the previous occasion, he (the Coroner) would only take formal evidence that day. He would also like to again express sympathy with the relatives of Jordan. The jury would deeply sympathise with the relatives of the men, and also with the men who were injured. He trusted and hoped they would make a speedy recovery. He was glad to learn that they were progressing satisfactorily. William Faux, residing at 74. Awsworth Road, Ilkeston, said: that he was a platelayer on the Great Northern Railway. Deceased was his step-son, and was 21 years of age the week of the accident. Jordon was a miner at the Manners Colliery. He was single, and lived at home. He had worked there five years to the knowledge of the witness. On the morning of the 21st ult., when he left home, he was in good health. About half-past six o'clock on the Thursday night witness saw his son in the Hospital, and again saw him on the Saturday afternoon. That was the last time he saw him alive. Mr. G.C. 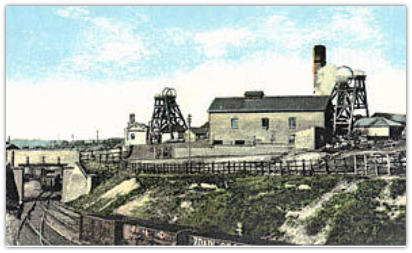 Allsebrook, manager to the Manners Colliery Company, said he desired to express to Mr. Faux and the mother of Jordon his sympathy; and at the same time, although he had done it personally, to the relative of Crossbey, and the relatives of the other men who were injured, the deep regret and sorrow of the directors of the Manners Colliery Company and of himself, and of the officials of the colliery, that this sad accident had happened. It had been hoped that Jordan and Crossbey would have recovered, but they had died. It was thought that the others would recover. The accident was terribly serious in all its bearings. He desired to stay that, apart from those in responsibility and connected with the colliery and those who knew anything about collieries knew there were heavy responsibilities, which were not taken up lightly, and which were laid down with some feelings of relief. There was. great sympathy and feeling in the colliery respecting the sad affair. At Manners Colliery they took a great pride in thinking that they had a class of men who were, taken all through the districts, as good a class of workmen and as direct a class of men, as were to be found in this country. In this particular district, which was being worked under novel conditions, they had picked out good workmen. Crossbey had been only working at the Manners Colliery since June 10th, but he had shown himself to be an honest, skilful workman. Jordan had been there since he was a lad of 13 years, and had shown that he was a good workman. Those two men stood very high, in the respect with which they were held by the officials. They all deplored the sad affair. Miss M. B. Latham, matron of the Hospital, stated that Jordan was admitted on Sept. 21st, with the other men who were injured at the colliery. He had been an in-patient until Wednesday, when he died at 11.20 p.m. She was present when he died. The Coroner said that was all the evidence he intended to take that day. He was not able to give a definite pronouncement as to the date of the adjourned inquiry. Inspector Payne had seen one of the doctors, who said one or two of the men, might be able to attend in a fortnight. It would therefore be better to leave it for a month, as he (the coroner) did not wish to call the jury together and then again adjourn. The Inspector of Mines had written that he had an important engagement for October 11th, so the inquiry could not be held that day. Mr. Whiston said he would give the jury ample notice of the day fixed, and he would like to commence in the morning, in the event of the inquiry being of a lengthy character. DEATH OF A THIRD VICTIM. We deeply regret to have to publish the fact that another victim of the explosion at Manners Colliery, Ilkeston, on Sept. 21st, has succumbed to the severe burns he received. At one o'clock on Wednesday morning, Benjamin Dooley, 22 years of age, and who resided in Milton-street, Ilkeston, died at the Ilkeston Hospital. The deceased was married. The Coroner's inquiry had again to be re-opened yesterday (Thursday) afternoon, when Mr. W. R. H. Whiston for the third time regretted the sad occurrence, and expressed sympathy with the relatives of the deceased. Only formal evidence of identification was taken at taken at the Hospital, and the inquiry was again adjourned. The magnitude of the effects of the recent colliery explosion at an Ilkeston colliery is becoming more and more realised as the death-roll increases. Another name has been added to the list placed before the Coroner. Heartfelt sympathy continues to be manifested on all sides in and outside of the borough, with the hope expressed that it may be a long time before an Ilkeston colliery is again visited with such a calamity. THE RECENT EXPLOSION AT ILKESTON. On Friday last, at a meeting of the Directors of the Manners Colliery Company, Limited, a presentation was made to those of the officials and workmen who took the most prominent and useful part in the work of rescuing the men injured by the explosion in September last. Mr. Beckett on behalf of the recipients, thanked the Directors.